Complimentary, Private HITRUST CSF Cybersecurity Webinar! HITRUST CSF has emerged as the global standard for cybersecurity and compliance. And, ecfirst is leading the pack in bringing this fast-paced, fact-based, 29-minute Webinar uniquely to you! Who Should Secure This Webinar? Organizations of any size, across any vertical, can today base their compliance and cybersecurity program on the HITRUST CSF standard. What Value Can Be Expected? A thorough understanding of HITRUST CSF standard fundamentals and critical steps on the road to HITRUST CSF Certification. Leverage the HITRUST CSF standard to ensure your organization has a credible cybersecurity program. 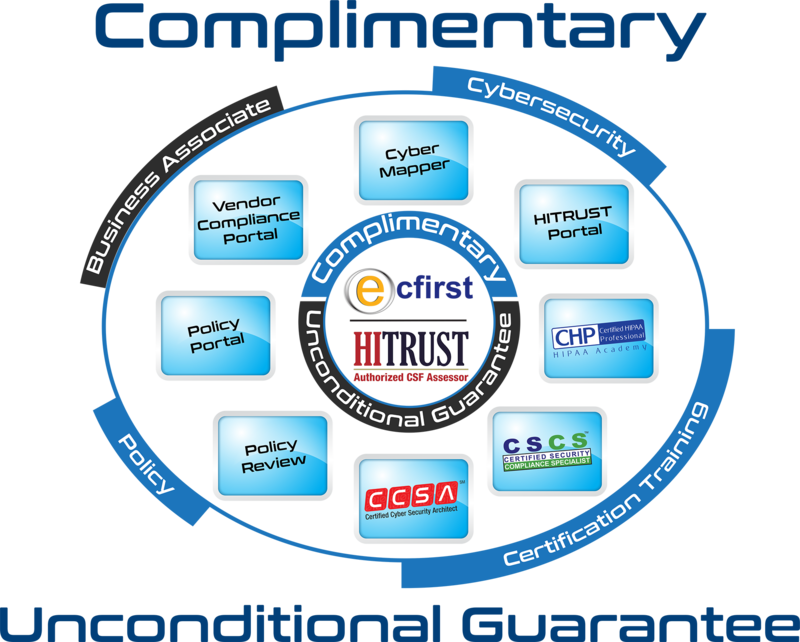 ecfirst is an authorized HITRUST CSF Assessor organization that has developed a proprietary methodology to ensure organizations achieve HITRUST CSF Certification in the most cost effective and timely manner. Schedule your complimentary, private HITRUST CSF Cybersecurity Webinar now! While doing so, please take an additional moment to address and submit our HITRUST CSF Inquiry Form. The data gathered will have ecfirst best positioned to make this webinar unique to you! How to manage security for information by identifying policies, procedures.